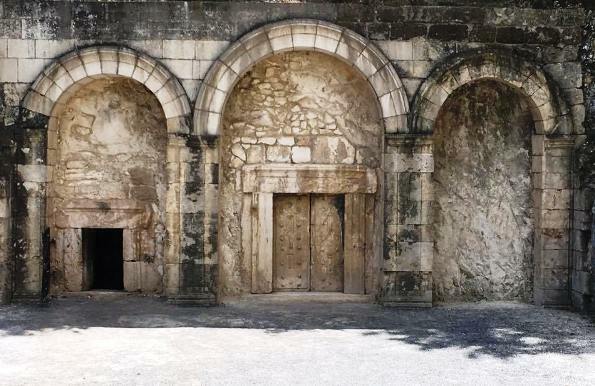 Beit Shearim is a fascinating gem of a place to visit off the main tourist track in Israel. 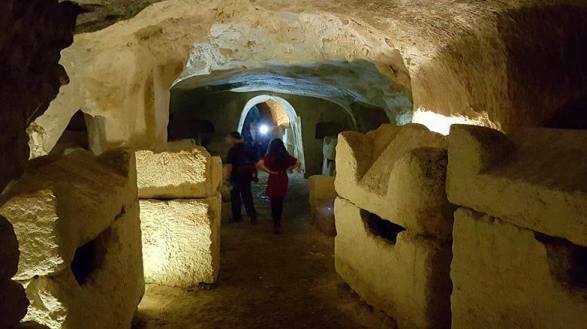 The town and its mysterious sarcophogi were completely forgotten... until the underground caves were rediscovered in the 1930's by Alexander Zaid, one of the founders of the Israel Defense. Beit Shearim National Park is located near today's Kiryat Tivon, east of the Carmel mountain range. became a center of Jewish political and economic life in Israel in the 2nd century. It was the time that many of the Jews had been expelled from the Holy Land by the Roman invaders, but the most stubborn and faithful stayed on the land of their forefathers’ in spite of everything. They settled on the Galilee Mountains and down below in the Jezreel Valley, also known as the “Armageddon Valley." Here in the shadows of the chestnut trees, Jewish Sages discussed the secrets of the Torah. Here is where the famous Judah the Prince, also known as Rabbi Yehuda Hanasi, the President of the Jewish Sanhedrin and the political and spiritual leader of the Jews lived. And here is where they wrote down the Jewish oral tradition and codified the six orders of the Mishna, from which the Talmud evolved. Although Yehuda Hanasi eventually moved further north to Zipori for health reasons, he prepared his burial place in Beit Shearim in advance. And here is where he and many Jewish leaders were buried in caves. In fact, the caves of Beit Shearim became a coveted burial place for hundreds of Jews from all over the world, near Judah the Prince's final resting place. This was especially true during the years that Jerusalem was ruled by the Romans and its cemeteries were off-limits. 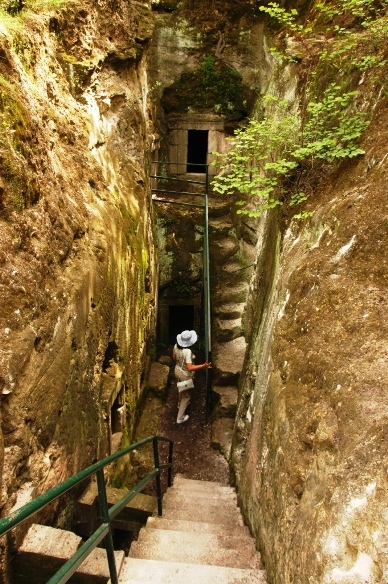 The town was ultimately destroyed during another Jewish uprising against the Romans, but the ancient Jewish catacombs survived the devastation. Walk along the underground caves and tombs of the necropolis. Kids will enjoy exploring the myriads of caves, as much as adults. 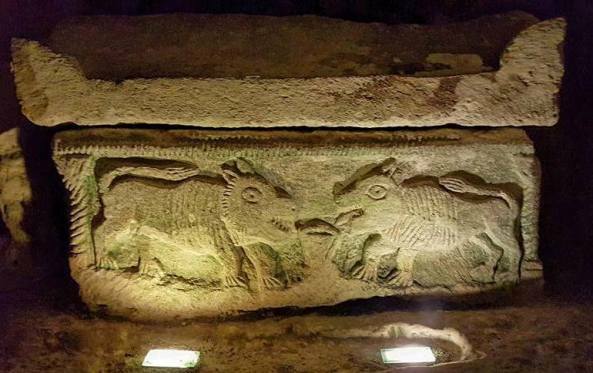 Dozens of underground catacombs have been recovered. Many others are waiting for their time... Most of the writing are in Hebrew, Aramaic and ancient Greek. Beit Shearim was ultimately destroyed during a failed Jewish uprising against the Romans, but luckily, the wonderful Jewish catacombs survived the devastation.